Florida Employment Contracts, Non-Compete Agreements and Severance Agreements are often written in a “one-sided” manner which benefits the employer and limits an employee’s rights. 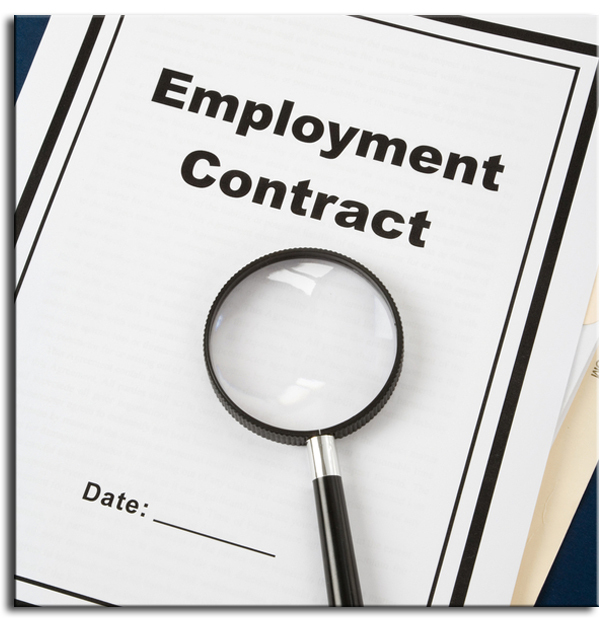 Before signing an employment contract or employment-related agreement, employees should have such agreements reviewed by an employment lawyer so that the employee learns and understands the effect such contract / agreement will have upon the employee and his or her legal rights. Employers typically have lawyers who look out for and protect the best interest of their client – the employer. Employees should seek out legal counsel during the decision-making process rather than waiting until a crisis occurs. At Sigman & Sigman, P.A., we call this “employment planning.” Just as people engage in financial planning, employee should look at employment-related decisions with an informed understanding of what they are signing, where they stand, and where they will stand in the future in their employment. More and more executives, managers, salespersons, professionals, and other employees are becoming sophisticated in their pre-employment and post-employment contract negotiations, and obtaining solid employment contract footing for themselves prior to the employment, during employment and at the conclusion of employment. Often prior to employment, employers who need the services of a particular person will agree in writing to a particular severance pay / severance package in the event that the employment later terminates. Such pre-planning can yield great benefit and solace to employees when unexpected termination later occurs. Before signing any employment-related agreements / contracts, Sigman & Sigman, P.A., Attorneys at Law recommends that employees contact an employment lawyer to review and explain the document and the options that the employee may have.